My 3rd great-uncle Henry Stark (1832-1910) was born in December 1832 in Rathkeale, County Limerick, Ireland. His father died in December 1851 and nearly the entire family immigrated to Darien, Fairfield County, Connecticut, two years later, about 1853. Henry was 21 years old at that time. 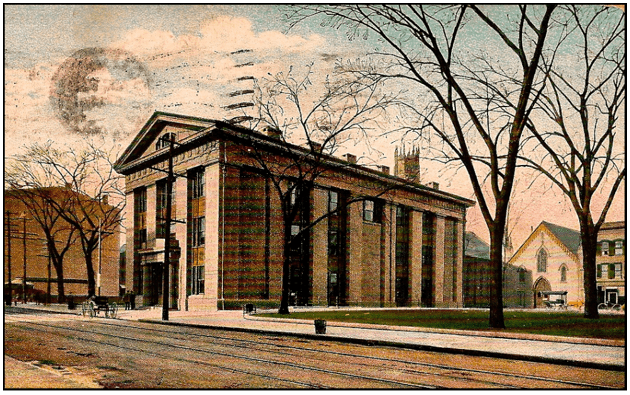 That same year ground was broken for a new Superior Courthouse in Bridgeport, Connecticut. Seven years later Henry Stark was naturalized at that Superior Court, on 30 March 1859 – and one year after that, Abraham Lincoln spoke there on 10 March 1860. 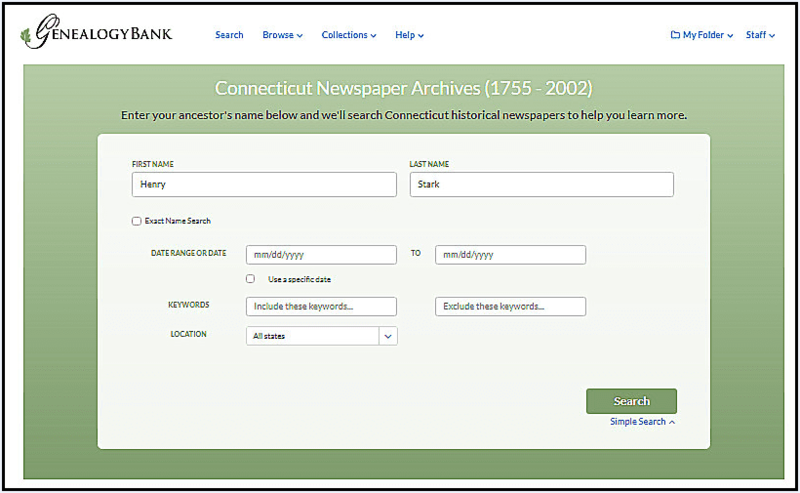 Henry lived his life in Fairfield County, Connecticut – so I looked in GenealogyBank’s Historical Newspaper Archives to see what more I could learn about him. Both “Henry” and “Stark” are common names, so I began looking for Henry by narrowing my search to Connecticut newspapers. This search found two classified ads that told me a little bit more about my great-uncle. According to this 1900 classified newspaper ad, Henry was selling a four-room cottage in nearby Noroton Heights for $600. No street address is given – but I knew that the family had lived in the Noroton section of Darien since the 1860s. A few years later, in 1904, Henry was renting out a “modern” seven-room house on “Gardener Street” in Noroton Heights for $15 a month. $15 a month – that seems pretty cheap! Was that a typical rent price for the New York metropolitan area in the early 20th century? I did a bit of Googling to find out. While we would expect New York City apartment rent to be a bit higher than rent in nearby Darien, Connecticut – comparatively, $15 a month for an entire seven-room house seems pretty reasonable. Contrast that with this 5-bedroom, 2-bath home for sale on Maple Street just a few homes over from Gardiner Street in Darien right now. 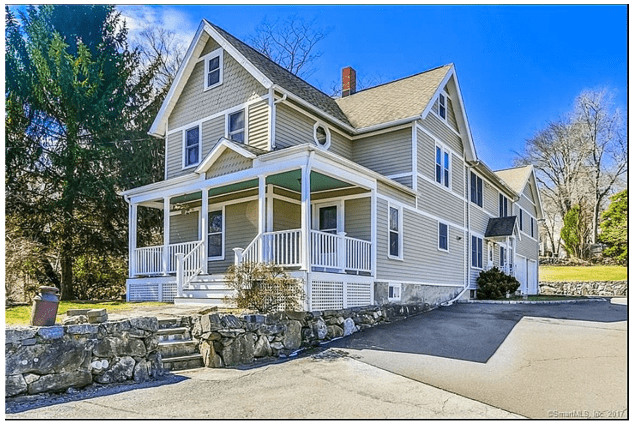 According to Zillow, this home was built in 1898. Who knows, maybe it is similar in look and style to the 7-room home that Henry was renting out in 1904. Genealogy Tip: Classified ads can be a great way to learn more about your relatives and the local economy at the time they lived. Start searching for them at GenealogyBank.com. Lincoln was never a U.S. senator (and, for that matter, he was never a state senator, either). He was elected to the U.S. House of Representatives in 1846 and served one term. He was defeated by Stephen A. Douglas in the 1858 Senate election. He ran for president in 1860. You’re right, of course, Terry. Thanks for your comment; we have made the correction. This is such an interesting find. I am always amazed at what pops up in the newspapers. Thank you for writing such a wonderful post. You are so right – Finding the stories of our ancestors and relatives is really powerful. Very few family stories are passed down – newspapers are our treasure house of these details – waiting to be found. These discoveries can change your entire picture of who they were and the lives they lived. I find new details about them every day.